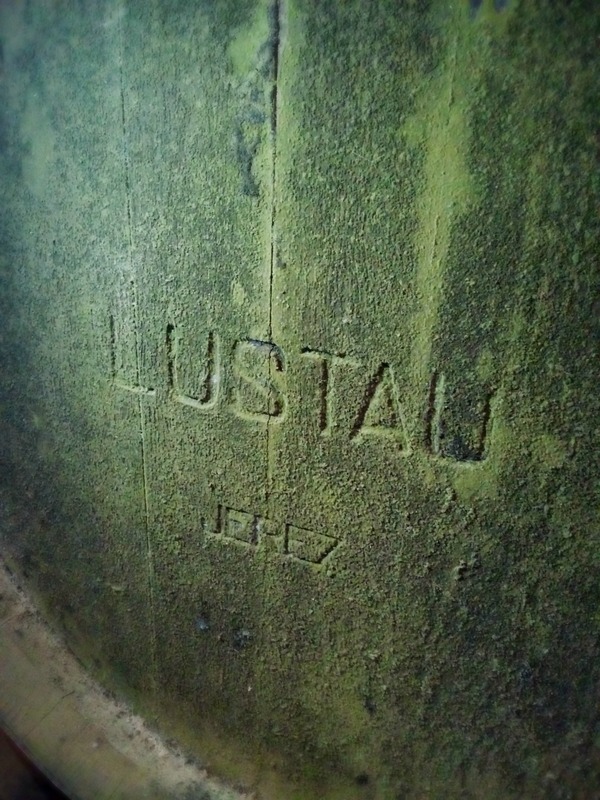 I began my day with Lustau at 10 AM. When we returned from our adventures in Sanlúcar around 1:30 PM, I was kicking myself for not bringing any snacks. Juan went up to his office and came back looking very professional in his tie and sports coat. In a matter of minutes, the mood changed from relaxed and familiar to structured and official. 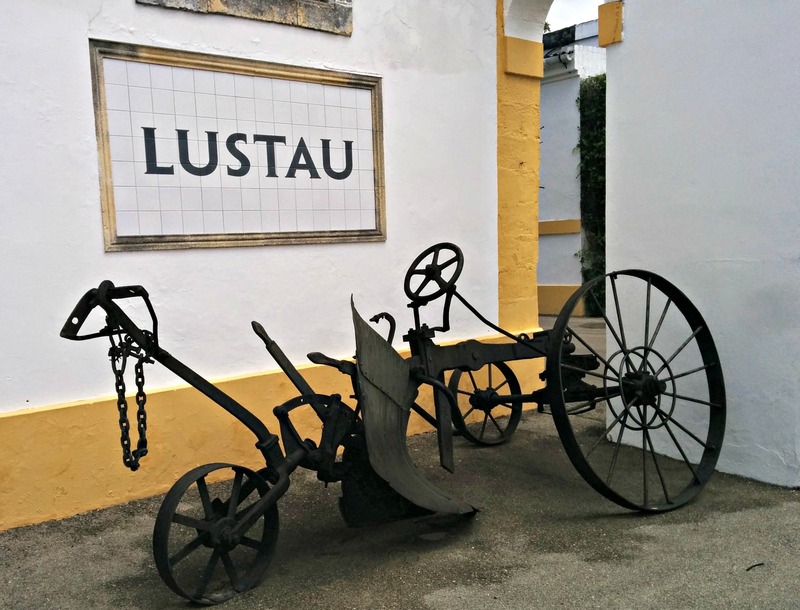 Juan is amazing at regurgitating historical dates and facts about Lustau. 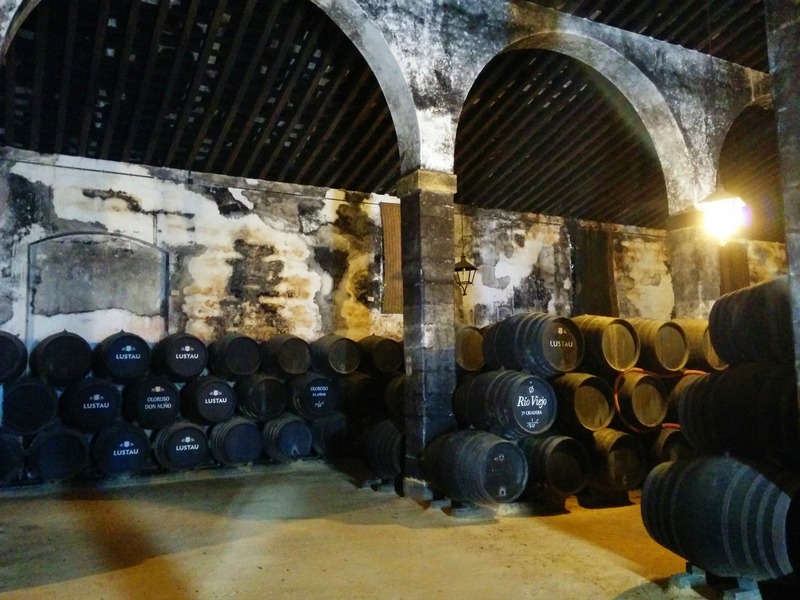 Here, Fino is aged for five years, Oloroso for eight years and Amontillado for twelve. 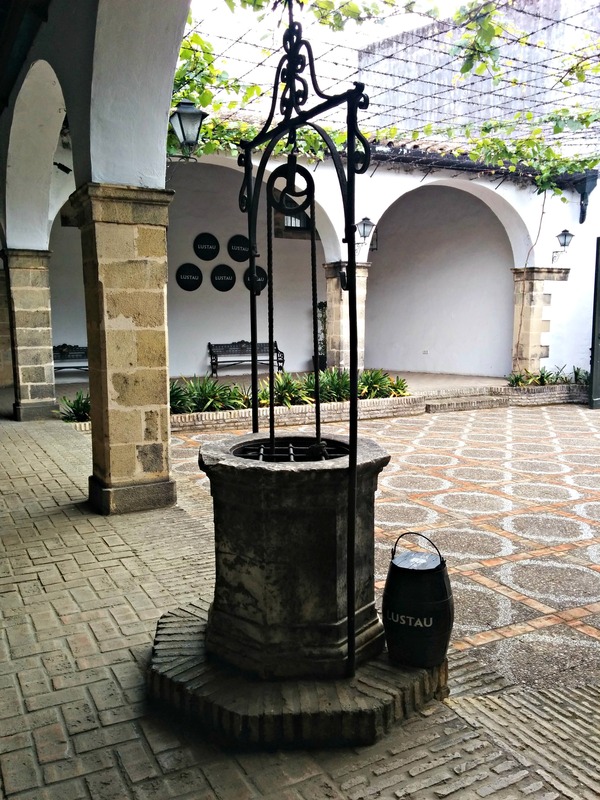 During the summer, the floors are wet down twice a week to maintain the humidity to sustain the yeast’s growth on top of the Fino. 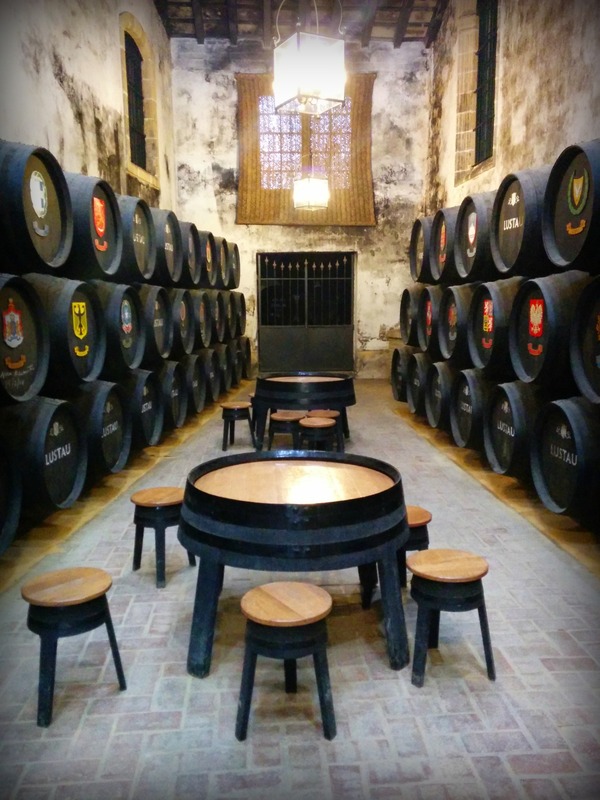 In 2008, they acquired 2500 barrels of the famous La Ina Fino solera from Domecq. 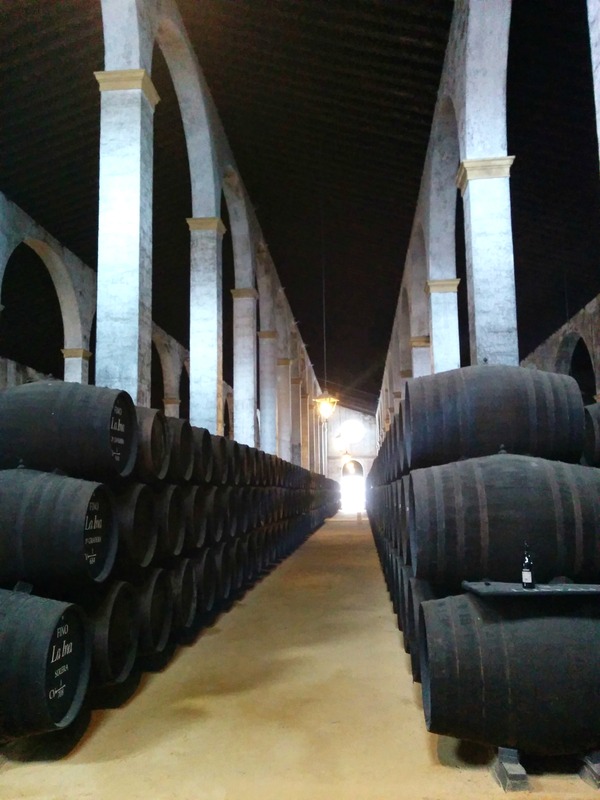 I saw several familiar soleras for the bottles I drink back home; Fino Jarana, which means party, Amontillado Los Arcos, Palo Cortado Península and Botaina, which only has 45 barrels in the solera. 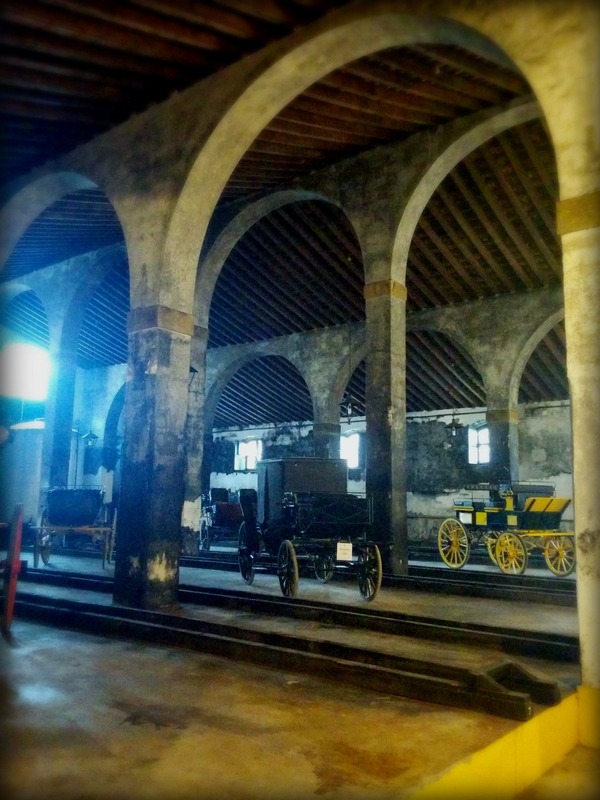 The oldest cellar was built in 1835 and smells just like Oloroso! 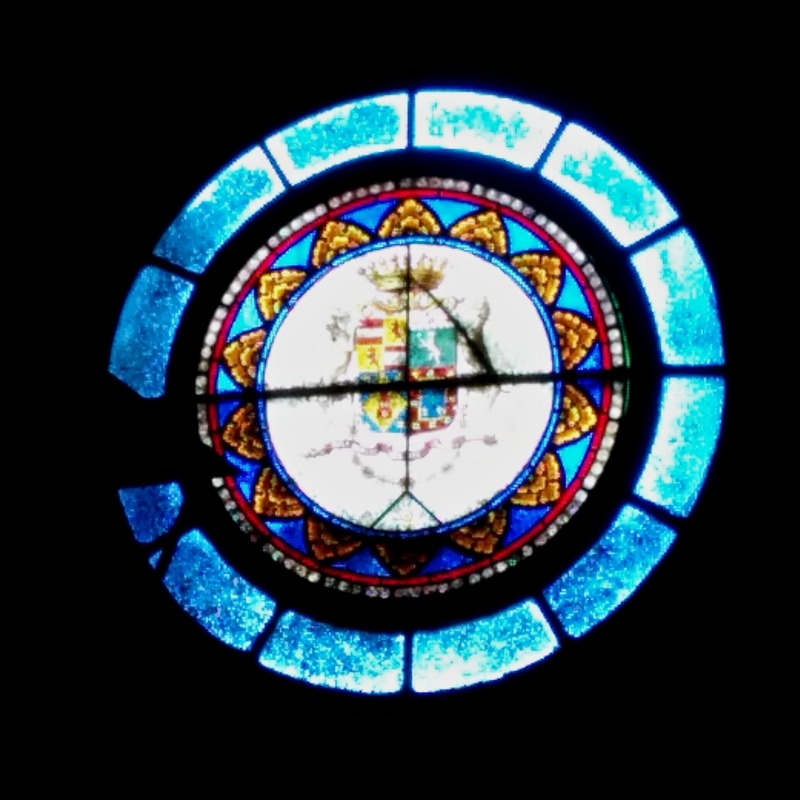 All throughout, the perfectly lit cathedral style arches, as well as the beautiful rosetón stained glass window captivated me. 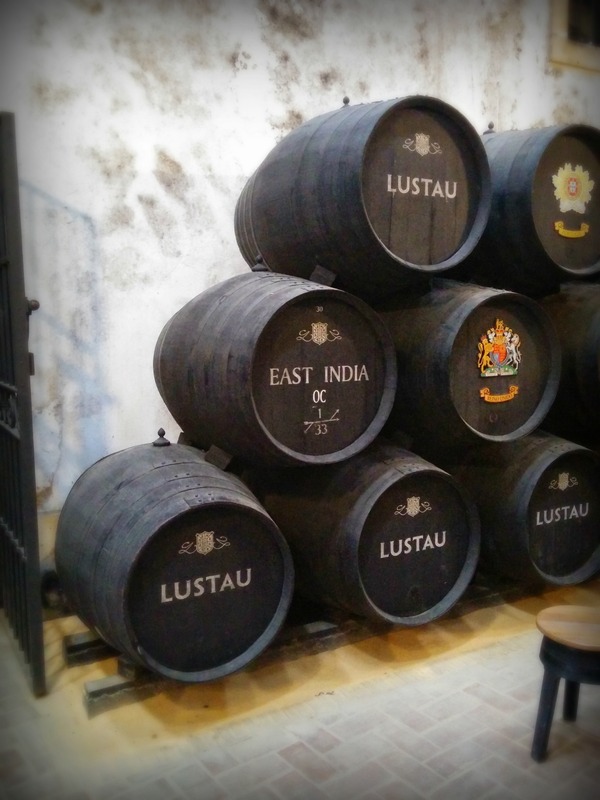 Some of the oldest original barrels are actually green rather than painted black. 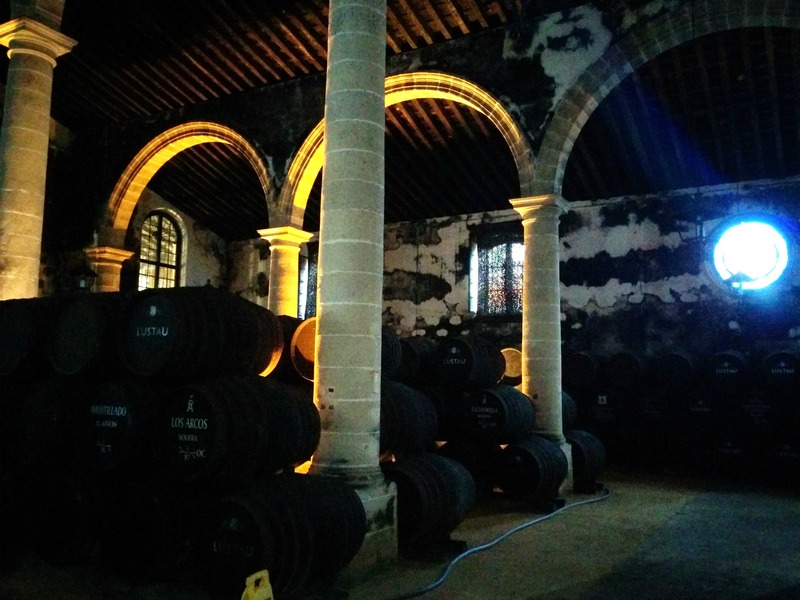 The sacristia holds the barrels of wines older than 30 years old. 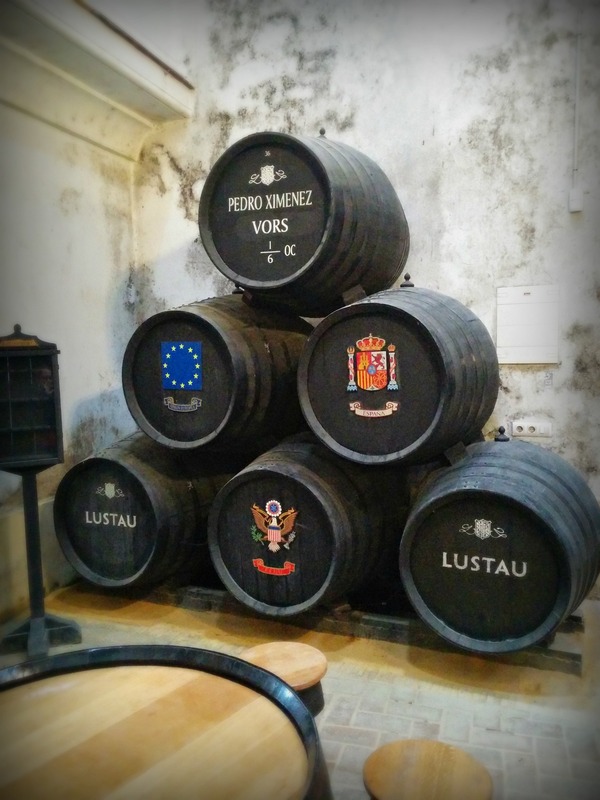 Unfortunately, we did not sample from any of the barrels. Instead, Juan led me upstairs to a lovely white room with glasses and bottles all lined up for me to taste. Juan did not taste with me, but sat at a table off to the side. I felt a bit awkward tasting them alone without any added commentary or opinion. It seemed such a waste to taste only a sip and pour out the remaining wine down the sink. I was honored and humbled by Juan taking an entire day for my visit. Before kissing my goodbyes at 3 PM, Juan toasted a glass of Oloroso Añada with me. It was by far my favorite! It’s a naturally sweetened Oloroso without any Pedro Ximénez added. It tasted like honey and orange blossoms. 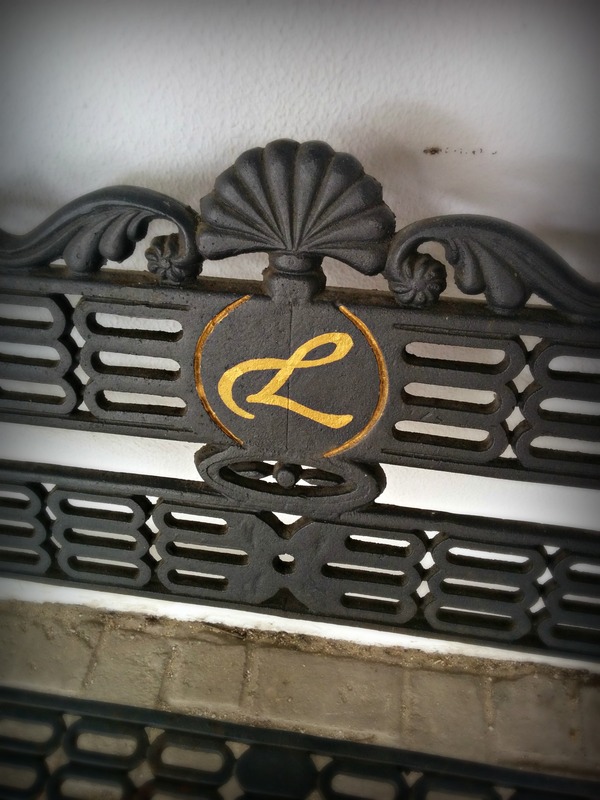 I am so very glad to have met Juan Mateos Arizón and to see Lustau through his eyes. 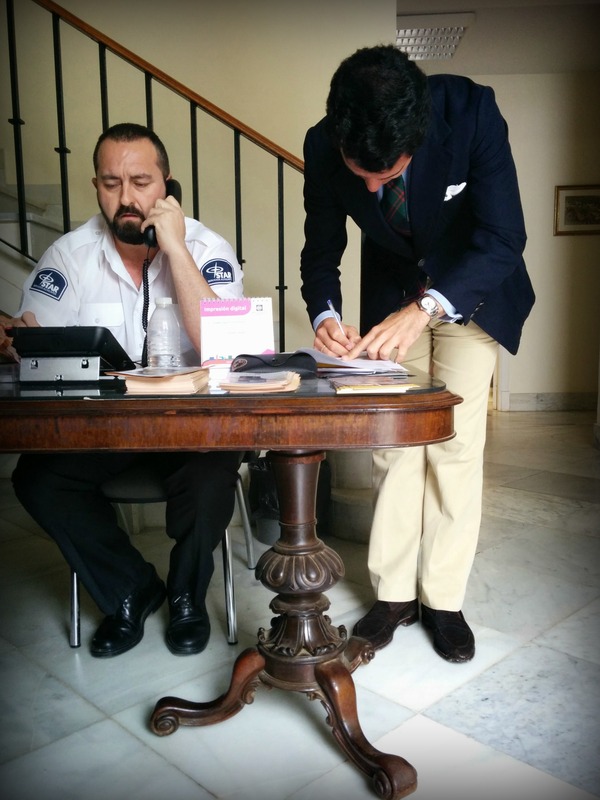 My entire last day with him was the perfect summary of my entire Sherry Odyssey.